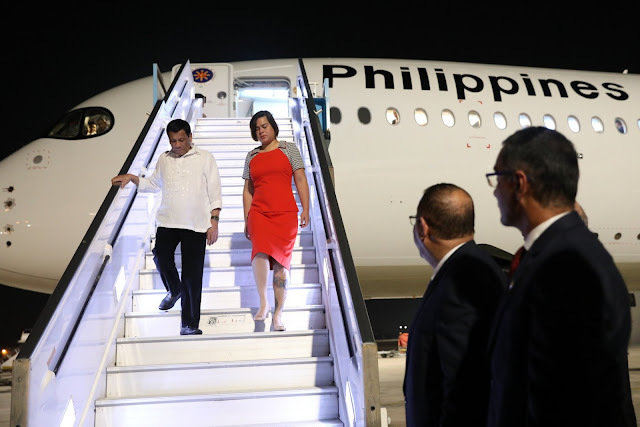 For the first time in history of the Philippines, Israel a country in the Middle East also known as 'Holy Land' was visited by the first Filipino President Rodrigo Duterte. 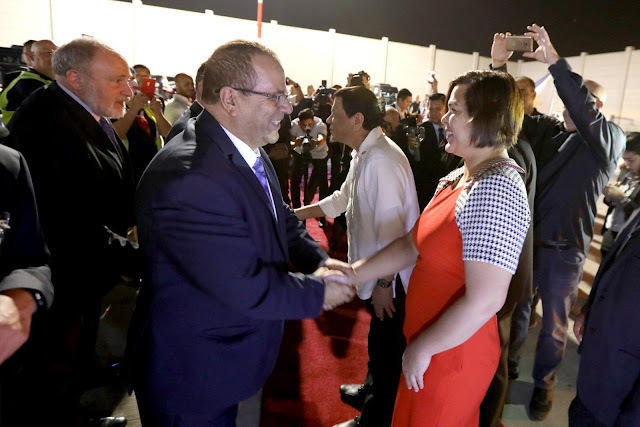 On his first visit to the country, Duterte aims to expand economic, defense and labor cooperation in Israel while in Jordan he plans to renew bilateral relations as well. The President has flew to Israel for an official visit from September 2 to 5 and will also visit Jordan on September 5 to 8. 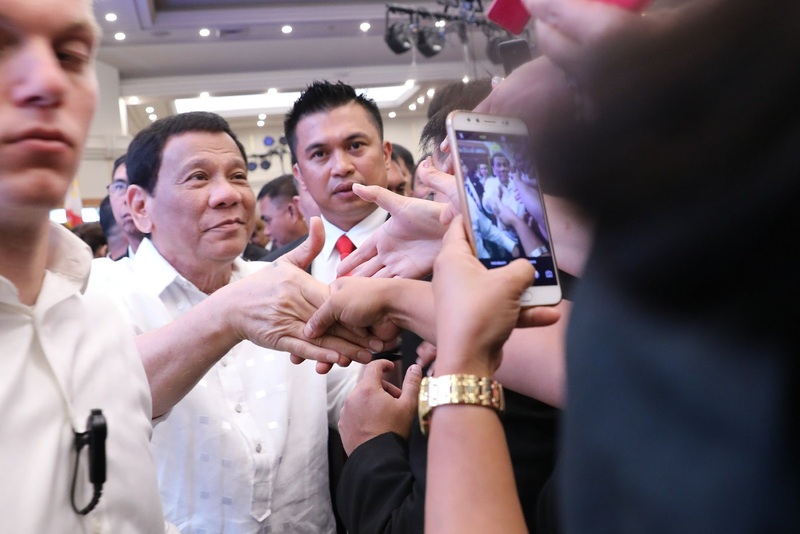 Duterte was in tears when the Filipino community welcomed him and his delegation at the Ramada Hotel in Jerusalem, Sunday night. He said that he usually do not cry except the last time he shed tears when his parents passed away. 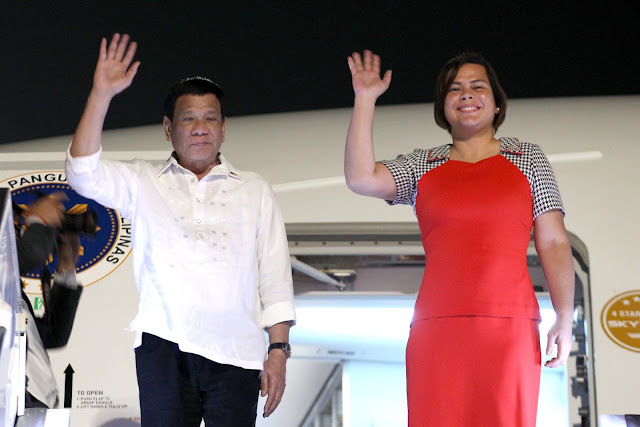 Over 1,400 Filipinos was present in giving a warm welcome to the President, waving flags with a big smile. “Alam mo bihirang-bihira ako umiiyak. Lalo na nu'ng (You know, I rarely cry. Especially when) -- I could remember maybe the times that I cried, when my father and mother died. 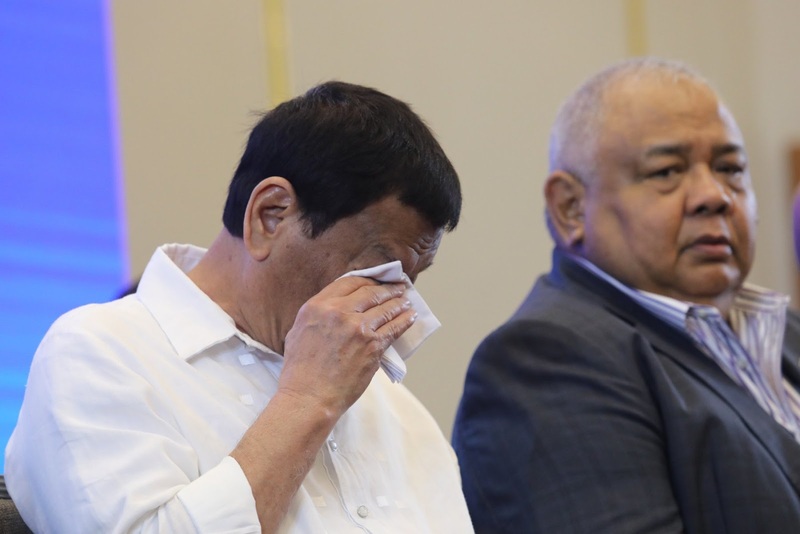 But rare, very rare,” Duterte said after wiping his tears in front of overjoyed Filipinos on Sunday night at the Ramada Hotel in Jerusalem. “Ito lang ang bisita ko na (This is my only visit that) maybe I will do it again, I really do not know. 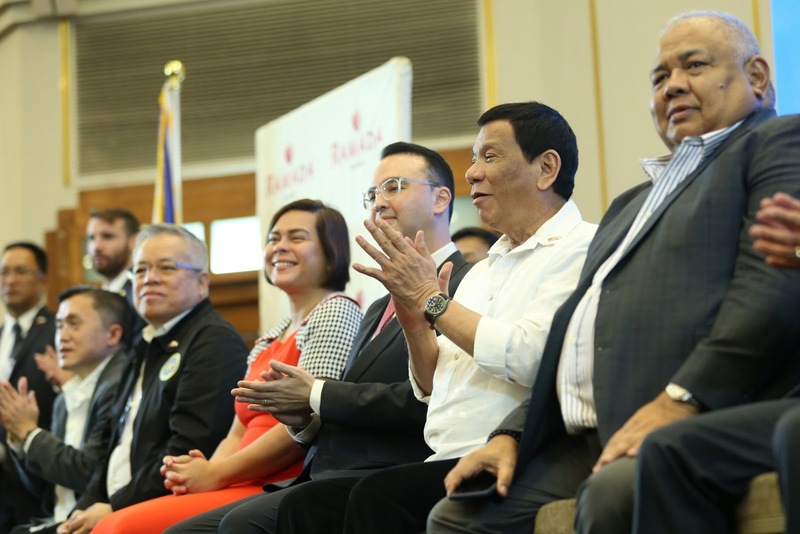 But this is the first time napaluha ako na nandito ako sa aking mga kababayan Pilipino (But this is the first time I turned emotional that I’m here in front of my countrymen),” he added. Duterte was also thankful that Israel Prime Minister Benjamin Netanyahu, gave him the opportunity to visit Israel for four-days to meet the Filipino community with over 29,000 in population. 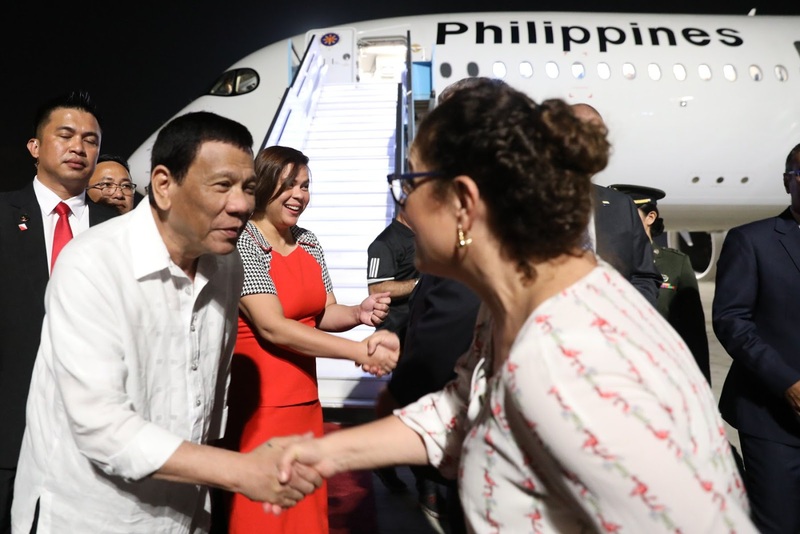 “I would like to say thank you for hosting so many of my countrymen in the State of Israel and that I have to hear any problem that may come from any Filipino here,” Duterte said. 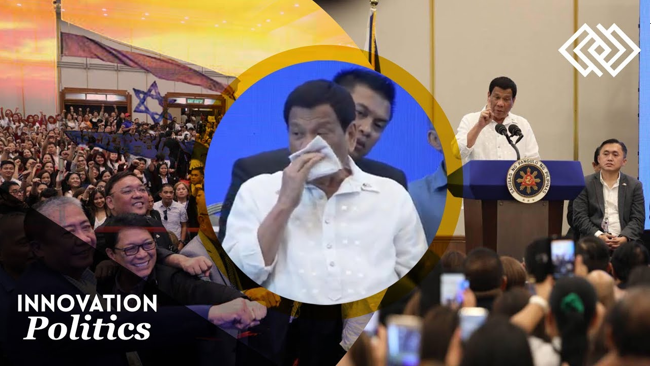 Duterte also intends to speak with the Israeli government officials, the way of life of the growing number of Filipinos residing in Israel. “One of the best places that we have to… and I don’t mind, isa sa pinakamagandang lugar na pwede mo talagang mapuntahan (one of the best places where you can go) and you are treated as a human being,” Duterte said. 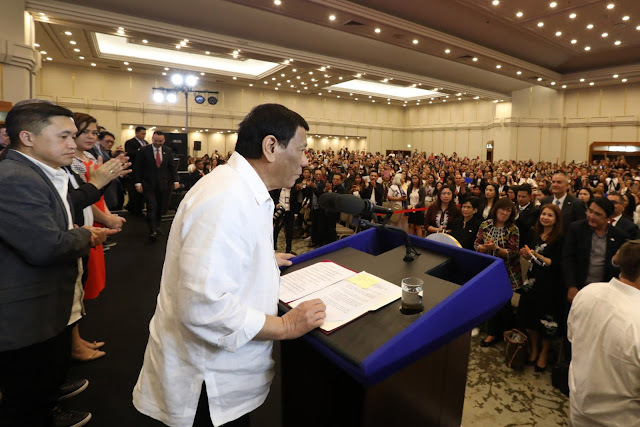 “If it (is) not really a wrong proposal, pardon me, but if Israel would want, ipapadala ko ng lahat ng Pilipino dito kasi mas maganda ang buhay dito (I will send all Filipinos here because of better life here),” he added. Duterte's speech to the Filipino community he highlighted his mission and achievements in fighting illegal drugs and criminality. “They (drug traders) transform a Filipino who is of sound mind to someone who is inutile for the rest of his life. Gawin mo silang (You made them) slaves to a chemical called shabu. Now if you are the president of a country and you are being treated with a s*** like that, what you will do? Eh ‘di I will kill you,” Duterte said. “Napapaiyak talaga ako kanina (I felt I really want to cry a while ago), it’s not because of one person. Makita ko kayo (When I saw you) and I need to protect everybody. You know maski na papaano (at least) by whatever measure if you are out of your country, it is really a very lonely job,” he added.